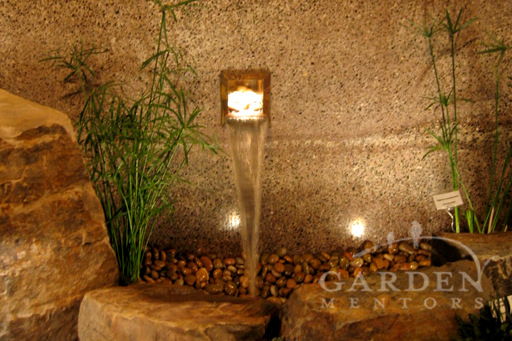 Thin bamboo shoots to the ground & use cuttings as stakes for edibles like tomatoes. 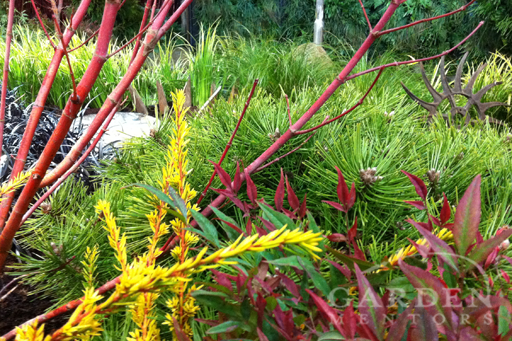 The Northwest Flower and Garden Show opens for 2013 on February 20th, tomorrow! 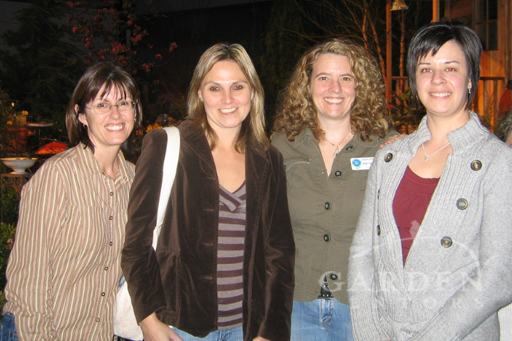 This is THE kick-off event for gardeners from all over, not just in Seattle. 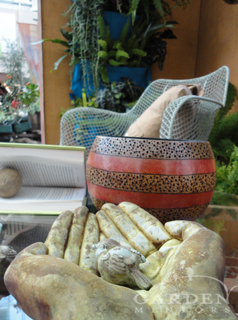 It is a source of gardening inspiration, networking, shopping, education, entertainment and so much more. Even if you don’t consider yourself a gardener, this wonderland is an event that might make you change your mind and inspire you to dig into the earth and cultivate some new roots. Join us for our seminars on Sunday, February 24th to learn about gardening for pollinators. We’ll be talking about ways to add year-round interest to the garden, maximizing veggie & fruit garden yields, making gorgeous spaces, keeping honeybees and mason bees, and much more. Details here. For fun, let’s take a look at a few fun shots taken in years past at the show. Every year there’s something new to enjoy! 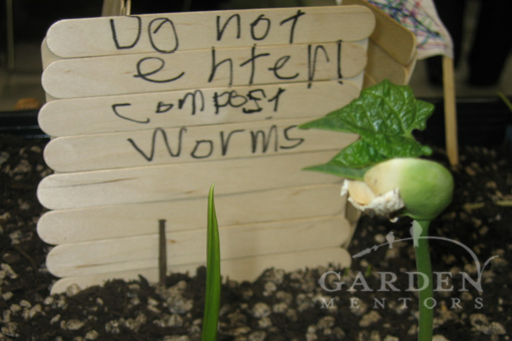 From the Children’s Garden at the 2009 Show. 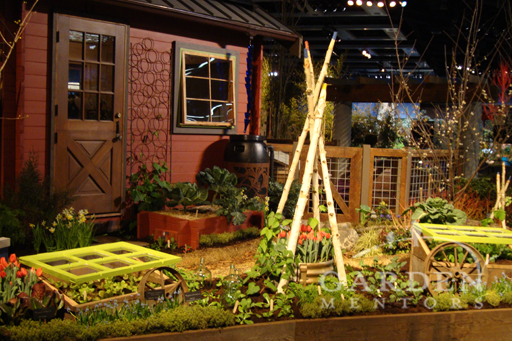 Northwest Bloom’s Mutliple Award Winning Garden at the 2010 NWFGS. 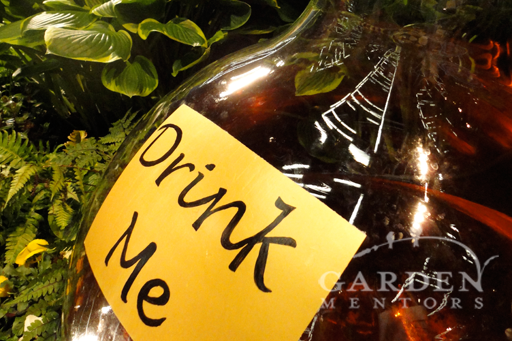 We didn’t take a sip, but loved seeing this in the 2011 garden inspired by Alice in Wonderland. 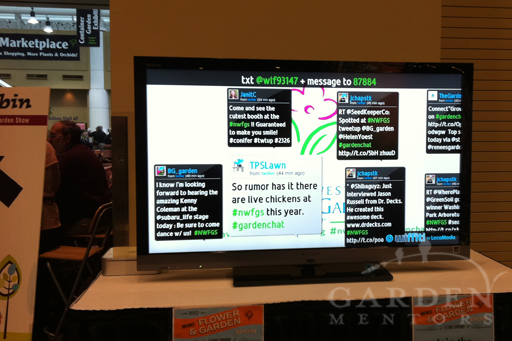 By 2012 NWFGS had added Tweet-ups & Twitter screen displays on the show floor. 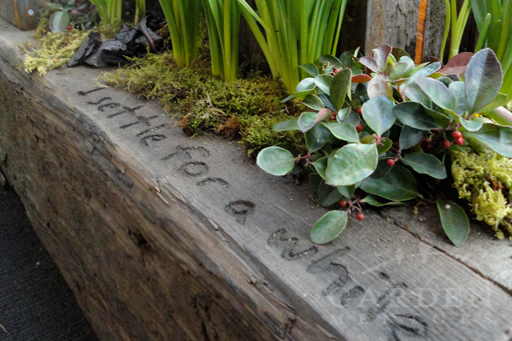 Follow #NWFGS for all your Twitter news!